OK, this is a weird one, but give the idea a chance: Bioengineers in California are hard at work making cheese — real cheese — without using the milk of cows, goats, sheep, dolphins or any other mammal. The shrieking you just heard was a cry of joy from the vegan nearest you. You’ve probably never had the urge to try it, but vegan “soy cheese” is typically described as a terrible substitute. “Cruelty-free” cheese is a collaboration between two compendiums of Bay Area scientists, Counter Culture Labs in Oakland and BioCurious in nearby Sunnyvale. 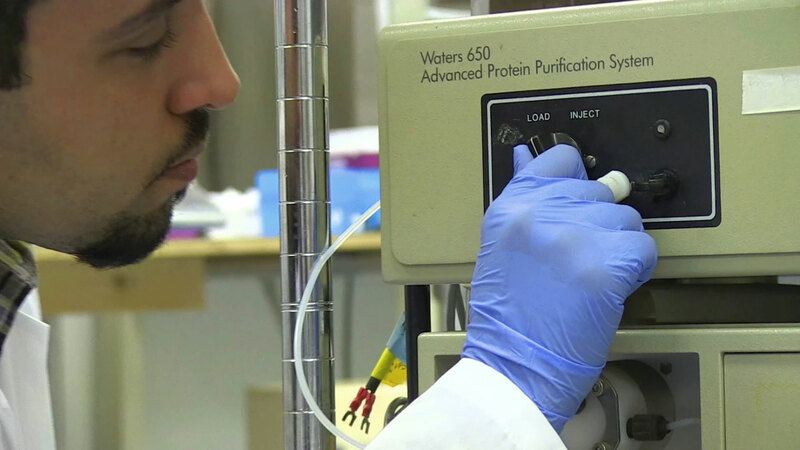 The labs start with baker’s yeast, the primary ingredient in bread, and insert man-made replicas of the chemical DNA sequence of cow’s milk protein, in the process transforming the yeast cells into milk-protein producing machines. The resulting proteins, when purified, are essentially identical to what’s found in regular cheese, which is merely coagulation of milk protein. The labs will be able to turn this bioengineered protein into any type of cheese, from Cheddar to Swiss, or even one of the fancy French varietals that pair perfectly with only the finest Sauvignon blanc. If this process sounds unnatural or gross, consider the fact that the same cheese you’ve been eating your entire life doesn’t really occur in the wild, either. Maybe you’re not ready to cover your chili dog in Real Vegan Cheese just yet, but consider the positives: Anyone abstaining from foods produced by animals for religious or moral reasons will be able to enjoy the same delicious flavors as everyone else, and if the process of production catches on and becomes both cheap and simple, it could be a means to help feed the world’s billions of hungry people. There’s certainly a market for Real Vegan Cheese. It recently raised more than double its funding goal in an Indiegogo campaign. The scientists hope that one day soon their creation will be available in stores.